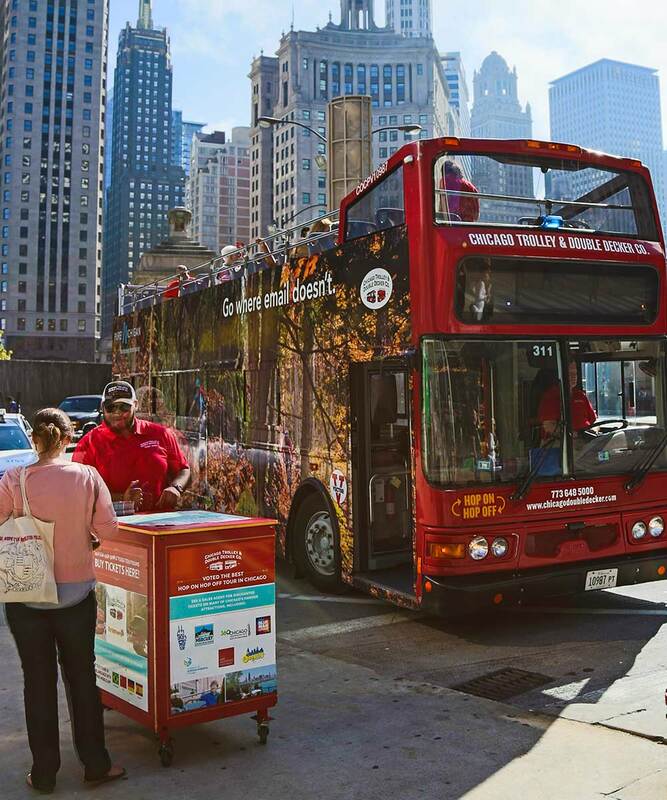 Helping tourists explore the best city in the world. 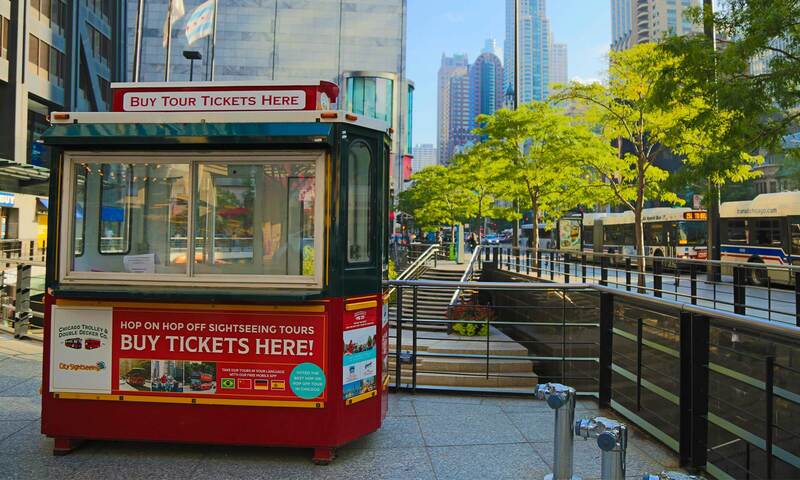 Chicago Trolley & Double Decker is the original trolley and double decker tourism company in Chicago. 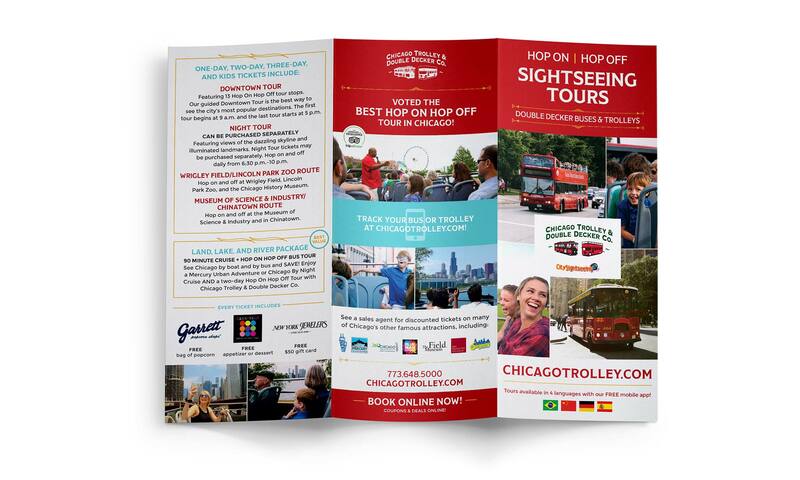 With their focus on making sure the routes and tours are entertaining to their guests, their marketing materials had fallen to the wayside. 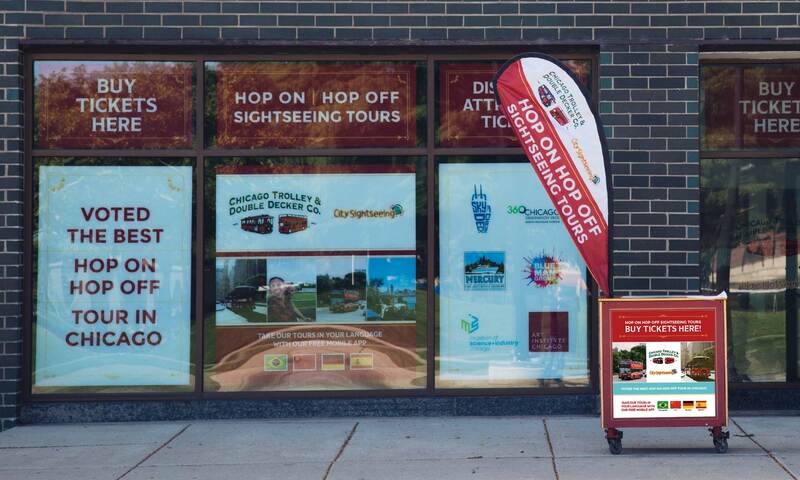 Happy with their logo, and with an updated website ready to go, Chicago Trolley came to Tiny Bold for help with their print and marketing materials. 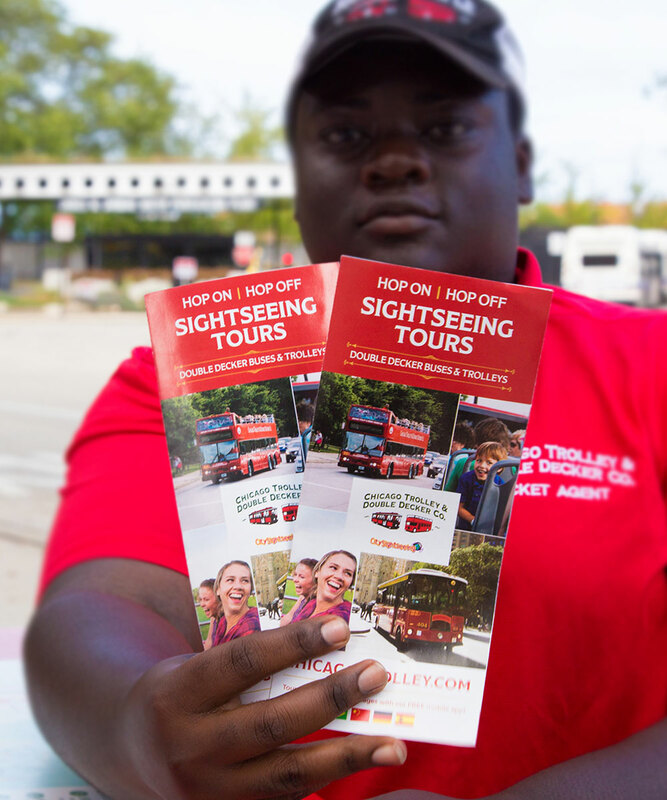 From brochures and guide books, to kiosks and advertisements, we turned our focus on promoting what Chicago Trolley cares about most: their guests and the experience of exploring a great city. You’re dropped in the middle of Chicago, with an idea of some landmarks, but no idea where they are. What do you do? The previous brochure and guide book maps showed street names, but little else. Our first matter of business was paring down the map to the essentials and showcasing the must-see spots. 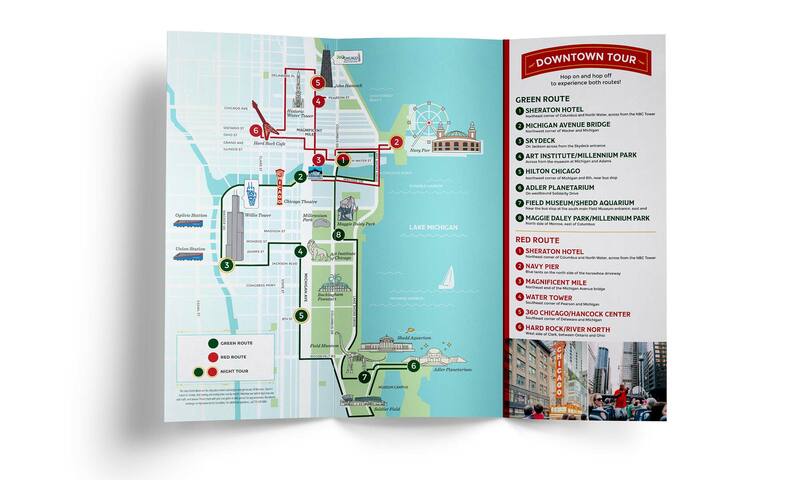 Illustrated iconic attractions – from the Sears Tower (okay fine, the Willis Tower) to the Shedd Aquarium, and Soldier Field up to the Water Tower – pull in a fun element to the brand that can be expanded upon. The rest of the brochures and guide books were cleaned up to feel in line with their refreshed website and creating a hierarchy to easily find information. Extending the updated look to the kiosks allowed for a consistent visual brand through each touchpoint. From smaller podium stands to the larger kiosks, the colorful stands – and the energetic teams that work at them – bring people in to start their adventure. Logos are the first touchpoint for many brands; there is nothing we love more than designing them for clients. Extending a brand to caffeinate as many people as possible, while saving as many dogs as possible.